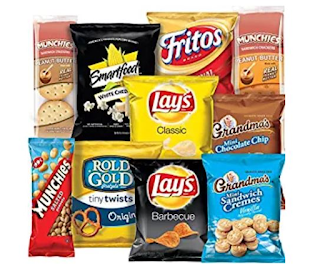 Right now at Amazon you can save an additional 15% on Select Frito-Lay Items with this clippable coupon. For example this Sweet & Salty Snacks Variety Box, Mix of Cookies, Crackers, Chips & Nuts, 50 Count drops to just $18.40 when you clip the 15% off coupon and subscribe and save! That's just $0.37 per bag. I'm grabbing this for snacks after team practices. Hurry over HERE to check out all of the deals before they sell out!